Standing on sabre legs and with decoration on the cresting rail in the style of George Smith. 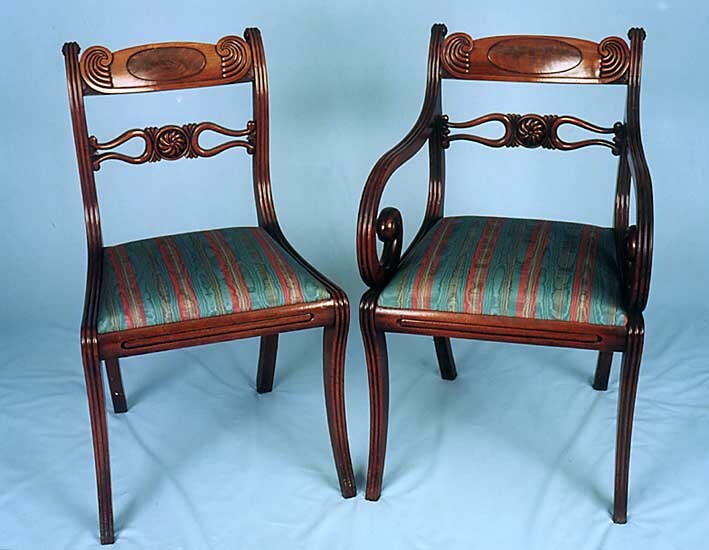 Six chairs, including the arms, are circa 1820 and four single chairs were made later in the 19th century. With good colour and in excellent condition. 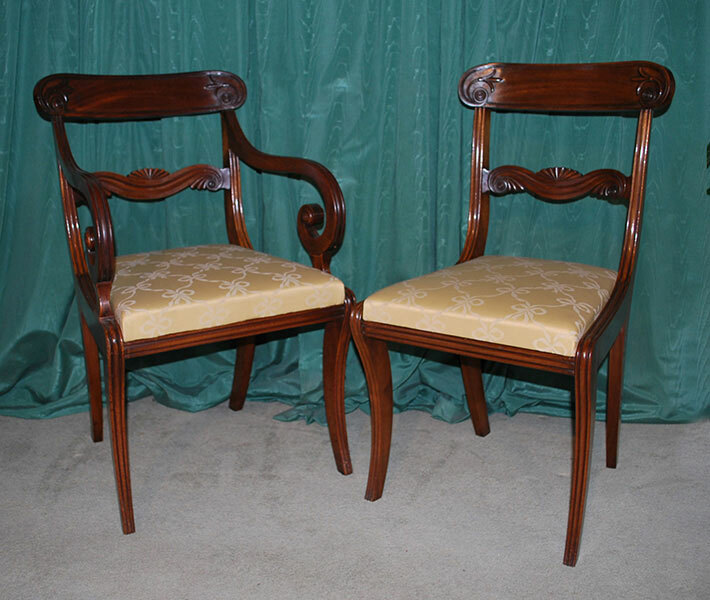 An attractive set of eight mahogany single chairs. 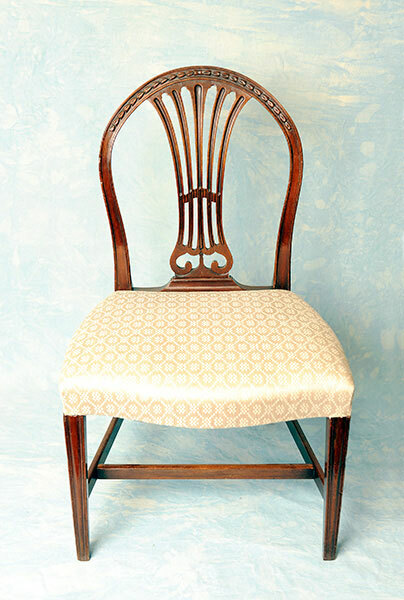 Supported on sabre legs and with veneer insets on the cresting rails. Good colour and very high quality.